Yeah, Id be scared too! But what's great about this is that this guy right here, Andrew Walker is a gentle giant. That's my opinion anyways. After dropping that bar he would be the first one to walk over and introduce himself to you and offer to help and or Coach you. He would be the guy that would be screaming and throwing down a WOD and then grabbing you by the arm and showing you how to do exactly what he just did. I know this because last year I posted a video of me doing some movements and he was the first one to take to twitter and coach me up. This dude didn't know me, I wasn't paying him, I was just a guy who posted a YouTube video on twitter and here he was commenting and telling me what I could do to improve. Wasn't telling me it sucked, wasn't laughing, simply saying "DO THIS 1, 2, 3, and watch how much better you get". Andrew Walker aka ChaseGr8ness24 on various social media platforms is that one of a kind guy. 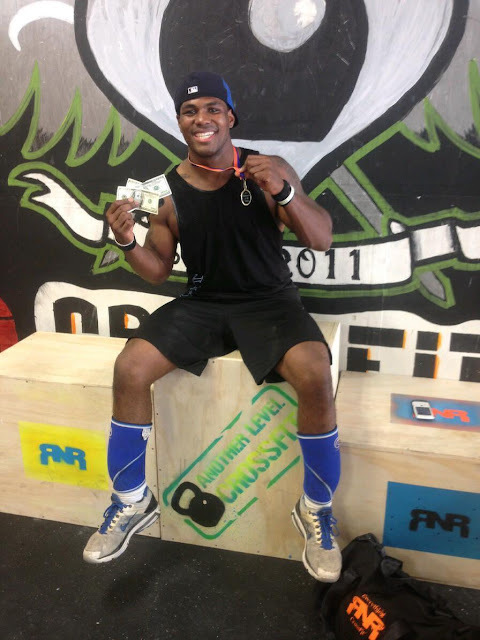 This 23 year old who resides in Lodi, California and trains/coaches at CrossFit Lodi is a person that goes above and beyond the normal CrossFit protocols to work on his skills. He is always training hard and competing just so he can be better that next time. Want to catch him cheating on his training, look for him to be throwing down some pizza. Other than working with people through CrossFit, making a million people smile before he dies is something he thinks about. He wants to have that kind of impact on people. Becoming a husband and a father one day is something that he looks forward to. "Marriage is forever!" he says and having the thought of having a child in the future is exciting. "It's so much more than taking care of a kid(s). You're forming another human's life! They will make their own choices but your actions have a big impact!" Playing multiple sports like football, baseball and wrestling in high school paved the way for Andrew to play football at Panhandle State University. 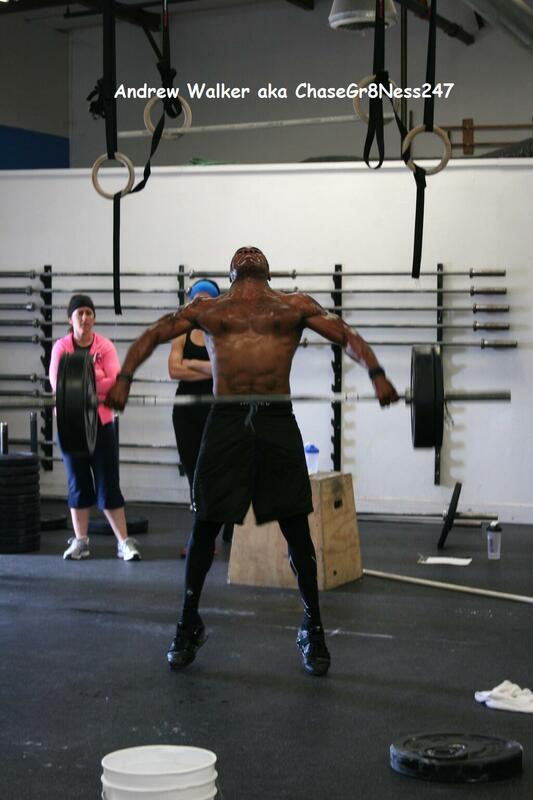 In the off season before his last year of playing football is when Andrew initially fell in love with CrossFit. It was the training, intensity and atmosphere that pulled him in and ever since has been involved. Being that Andrew was a person who had been through the struggles concerning his weight he wanted to be someone who could work with others and show them and coach them on how to beat their own weight issues. He also knows that there are going to be times when people want to quit. For him, that is a no go. No quitting on him or what he loves to do. He once wanted to quit wrestling but stuck it out and made it. Yeah, that very first day of high school wrestling was too much for him. That is what a lot of people probably think about CrossFit too. He made it and so can you. Andrew says his favorite part of CrossFit is how he can be part of a team for the rest of his life. Saying "You don't have to be elite to be accepted, you just have to give a strong effort and have a positive attitude". That even means he will be smiling if he is doing his least favorite movement Thrusters or his least favorite WOD Mary. Now you really want to make his day, throw some back squats at him or make him do his favorite WOD DT. He will be dancing like a little schoolboy. 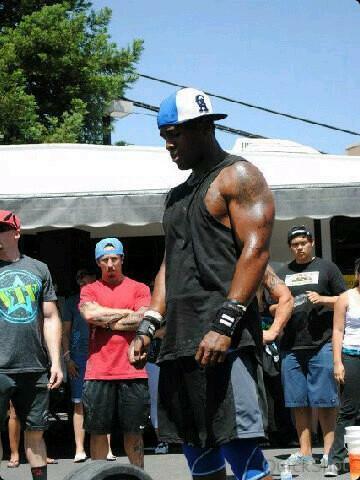 He will probably even blast his favorite WOD song "Gangsta" by Bun B for you too. We are right in the thick of the 2013 CrossFit Games season and Andrew and his CrossFit Lodi team have qualified for the Games Regionals. And that's just the way he likes it. Competing with CF Lodi "Feels so much more awesome to me right now" he says. "OMG, I would so crush my mama!!!" Andrew says going against Gabe Subry his first CrossFit Coach for a CrossFit Games podium spot would be so sweet. Like a dream come true. Something about student beating the teacher type of thing.